Welcome to the luxurious, gated/guarded, golf course community of Trilogy at Power Ranch! This absolutely beautiful, move in ready home will not disappoint! The popular Morning Star floor plan offers a split & very open layout with 2 bedrooms, and a den! Many upgrades including custom tile throughout the main living areas, shutters, ceiling fans, security door/screen, and much more! The spacious kitchen includes stainless steel appliances, granite tile counter tops, custom backsplash, cabinet lighting and large pantry. 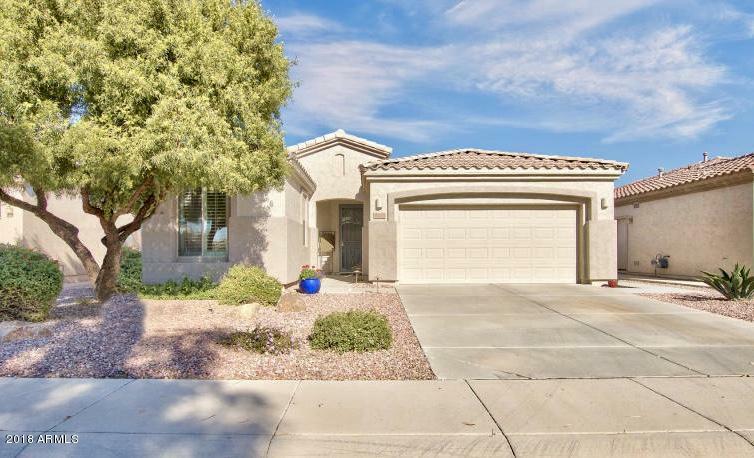 The back patio is ideal for Arizona's outdoor living including extended paver patio, built in BBQ & refrigerator. Community offers a club house, golf, tennis, fitness rm, club activities, pickle ball, swimming, game rm, mini golf dining and more! Come live the Trilogy life!